A clear sky. Low near 65F. Winds SSE at 5 to 10 mph..
A clear sky. Low near 65F. Winds SSE at 5 to 10 mph. Rachmaninoff Rhapsody. Vadym Kholodenko, a Ukrainian pianist who won the 2013 Van Cliburn International Piano Competition, is making his TSO debut with Rachmaninoff’s Rhapsody on a Theme of Paganini. TSO Music Director José Luis Gomez commissioned a piece by former Young Composers Project student Anthony Constantino, and the piece, Luminosity’s Witness, will make its world premiere at TSO. Also on the docket: Selections from Prokofiev’s Romeo and Juliet and Ginastera’s Dances from Estancia ballet. 7:30 p.m. on Friday, Feb. 16 and 2 p.m. on Sunday, Feb. 18. The Story of Babar The Elephant. When 20th century French composer Francis Poulenc’s 3-year-old cousin showed him the children’s book Histoire de Babar and said, “Play this!” Poulenc got right to work. Nearly a century later, hear the whimsical results of Poulen’s piano improvisation-turned-masterpiece. 2 p.m. and 3:30 p.m. Saturday, Feb. 24. Leo Rich Theater, 260 S. Church Ave.
Schubert & Brahms: Second Symphonies. Some things aren’t better the second time, like fries reheated in the microwave or a relationship with an ex. But some seconds, like both Schubert’s and Brahms’ Symphony No. 2’s, are even more nuanced, lovely and sophisticated than the first go ’round. 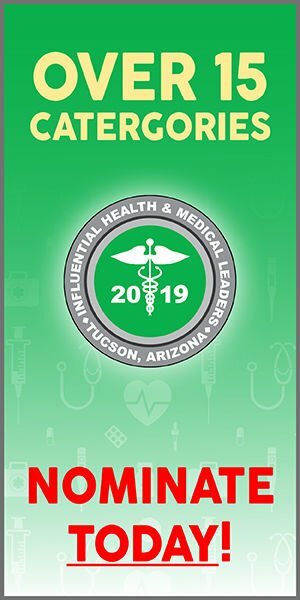 7:30 p.m. on Friday, March 2, St. Andrew’s Presbyterian Church and 2 p.m. on Saturday, March 3 at Catalina Foothills High School, 4300 E. Sunrise Drive. Women Rock. Well duh, women rock. But some women, like Carole King, Tina Turner and Janis Joplin, are actual rock ’n’ roll icons. Celebrate these babes at this event, which features the Tucson Symphony, a cast of singers and hits that you’re definitely going to be singing along to, like “Proud Mary,” “Love is a Battlefield” and “You’re So Vain.” 7:30 p.m. on Saturday, March 10 and 2 p.m. on Sunday, March 11. Pictures at an Exhibition. Kabalevsky’s Colas Breugnon Overture kicks off the evening like it kicks off the comic opera itself: with a rousing rhythm to get you geared up for the night ahead. J.S. Bach International Violin Competition gold medalist Rachel Barton Pine follows it up with Khachaturian’s crowd-pleasing Violin Concerto, and Mussorgsky’s Pictures at an Exhibition closes the night. Award-winning Brazilian conductor Marcelo Lehninger makes his TSO debut this evening. 7:30 p.m. on Friday, March. 16 and 2 p.m. on Sunday, March 18. 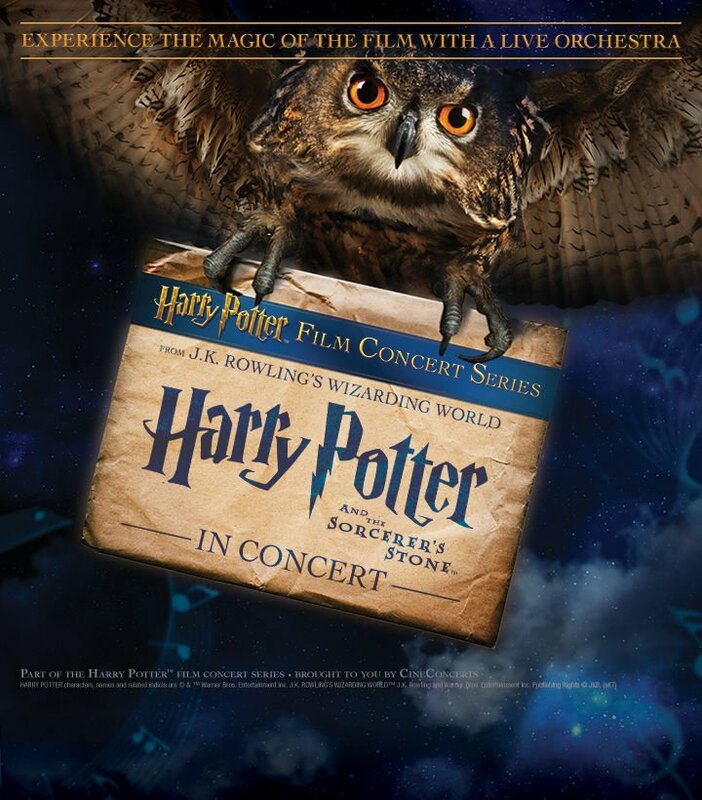 Harry Potter and the Sorcerer’s Stone in Concert. YER A WIZARD, HARRY. If you still haven’t gotten your letter announcing your acceptance to Hogwarts, take this opportunity to make your own magic. Listen to TSO perform the film’s gorgeous score while scenes from the first movie play on the big screen. 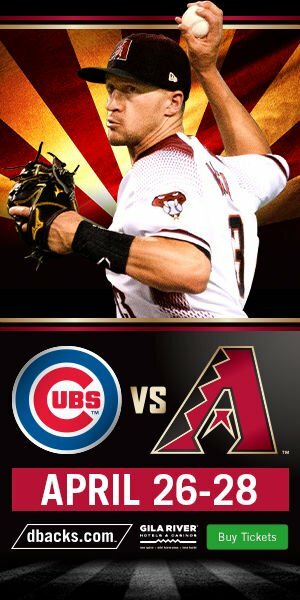 2 p.m. and 7:30 p.m. on Saturday, March 24. Season Finale: Beethoven’s Ninth. What better way to cap off the season than with a choral rendition of “Ode to Joy,” one of the most popular symphonies ever? It couldn’t hurt to add the TSO premiere of John Adams’ On the Transmigration of Souls, composed in the wake of 9/11, and the winner of three Grammy Awards and the Pulitzer Prize for Music. 7:30 p.m. on Friday, April 6 and 2 p.m. on Sunday, April 8. The Little Fiddle. How many different variations of “Twinkle, Twinkle, Little Star” can one man play? Find out by watching TSO violinist Michael Fan strut his stuff at this event, where the orchestra will play different variations of popular songs and give kids the chance to guess what’s being played. 10 a.m. and 11:15 a.m. on Saturday, Feb. 17. Tucson Symphony enter, 2175 N. Sixth Ave.
Percussive Upload! For a certain age group, there’s nothing quite so nostalgia-inducing as the soundtrack of a childhood video game. Hear the TSO percussion quartet bring the sounds of video games to life and start your Saturday off right. 10 a.m. and 11:15 a.m. on Saturday, March. 17. 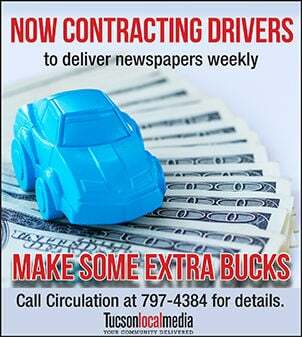 Tucson Symphony Center, 2175 N. Sixth Ave.
Flanders Recorder Quartet. One of the top early music ensembles in the world (“early music” can mean both European music written before about 1800 or historically-influenced performance, including the use of period instruments like recorders) is marking its 30th and final year of performing with a new program, “The Final Chapter.” Including music ranging from Michael Praetorius to Bach to Louis Prima, it’s a celebration of the recorder, and a final glorious show of the group’s virtuosity. Not to be missed! 3 p.m. Sunday, March 4. St. Philip’s in the Hills Episcopal Church, 4440 N. Campbell Ave.
Musica Pacifica. One of the premier American Baroque ensembles, Music Pacifica has been gracing the world with recordings and performances since 1990. At this program, “Dancing in the Isles,” they present a sample of the 17th and 18th century music of Scotland, Ireland and England, which includes everything from traditional Scottish folk tunes to English theater dance suites to trio sonatas. Let Music Pacifica take you on a journey. 3 p.m. Sunday, April 8. Grace St. Paul’s Episcopal Church, 2331 E. Adams St.
Verdi Requiem. If you didn’t think a symphonic/operatic composition based on liturgical texts for the Mass of the Dead—complete with judgment calls signaled by trumpets and bass drums to represent thunderbolts—could get any more epic, you were wrong. Because this performance of Verdi’s masterpiece will feature not only soprano Arianna Zukerman, mezzo-soprano Teresa Buchholz, tenor Hugo Vera and baritone Andrew Stuckey, but UA’s Arizona Choir and the Grammy-nominated True Concord. 3 p.m. Sunday, Feb. 25. Centennial Hall, 1020 E. University Blvd. Rémi Geniet, Piano. At age 20, Geniet took second place in the 2013 Queen Elisabeth International Piano Competition. Four years later, he’s only grown more talented. Hear him play Bach’s Chaconne, transcribed by Ferruccio Busoni, Beethoven’s Piano Sonata No. 31in A-Flat Major, Stravinsky’s Three Movements from Petrushka and Ravel’s La Valse. 3 p.m. Sunday, Feb. 25. Berger Performing Arts Center, 1200 W. Speedway Blvd. Wu Han/Philip Setzer/David Finckel I. Beethoven’s 250th birthday is coming up in 2020, but ACFM began celebrating last year. On the first night of this event, hear cellist David Finckel and pianist Wu Han (a true chamber music power couple), along with violinist Philip Setzer, play Beethoven’s Piano Trios, Op. 1, No. 1 and 3; and Piano Trio Op. 70, No. 1, “Ghost.” 7:30 p.m. Wednesday, March 28. Leo Rich Theater, 260 S. Church Ave.
Andrei Ionita, Cello. The AFCM website summed it up best when they said this Romanian musician “has a last name with diacriticals we don’t have access to, and he also has talent most of us don’t have access to either.” Some of his distinctions include first prize at the 2015 International Tchaikovsky competition, being named a BBC New Generation Artist in 2016 and receiving prizes at the ARD Feuermann and Khachaturian competitions. At this program, hear him play Locatelli’s Cello Sonata in D Major; Stravinsky’s Suite Italienne; Bach’s Solo Cello Suite No. 2 in D Minor, BWV 1008; and Shostakovich’s Cello Sonata in D Minor, Op. 40. 3 p.m. Sunday, April 15. Leo Rich Theater, 260 S. Church Ave.
AFCM Festival. There’s too much here to reasonably fit into a blurb. But over the course of five days, you’ll have the chance to hear Vivaldi’s Concerto for Four Guitars, Bernstein’s Clarinet Sonata, Mendelssohn’s String Quartet in F Minor, Op. 80, Gasper Sanz’s Suite Española and Djupstrom’s Quartet Premiere. And we promise that’s just the tip of the iceberg. You can buy a festival pass to go to all five days, or just buy tickets for the days you care about most. And they come with a gala dinner and open wine bar. 3 p.m. Sunday, March 4; 7:30 p.m. Tuesday, March 6 through Wednesday, March 7; 7:30 p.m. Friday, March 9 and 3 p.m. Sunday, March 11. Leo Rich Theater, 260 S. Church Ave.
There’s too much good stuff going on this season to fit into a single spring arts preview, but here’s a few of the highlights. Strings and Things. Guest artist Ivan Ugorich, on the viola, will be playing with TSO (violinist Michelle Abraham, flutist Alexander Lipay and cellist Ian Jones) and UA faculty (harpist Rachel Kay Green) artists for a free show! With works by Mozart, Beethoven and Debussy, it’s a show that even classical music novices will appreciate. 1 to 3 p.m. Saturday, Feb. 17. Holsclaw Hall, 1017 N. Olive Road. Music of the Americas. Hear the University Community Chorus perform Argentinian composer Ariel Ramírez’s Misa Criolla, one of the first masses to be composed in a language other than Latin, after the Vatican II gave the go-ahead for Catholics to actually understand what was going on in church. There’s also some Spanish Baroque music from the California missions on the program. 4:30 to 6:30 p.m. Sunday, April 15. Crowder Hall, 1017 N. Olive Road. Premieres Across Music History. Composers, performers, undergraduates and graduates are all coming together for this event, and the only thing they’re missing is you! The event is the final class of the “Introduction to Music Literature” course, so in addition to the music itself, you’ll hear from music history professor Matthew Mugmon about the historical significance of pieces, and will get to hear a new work by a composition student at the Fred Fox School of Music. 11 a.m. to 1 p.m. Thursday, April 26. Crowder Hall, 1017 N. Olive Road. No Borders. The UA Wildcat High School Honor Choir has a new director this year, Alyssa Cossey. She’s put together a program that examines some of today’s most complex issues by including music from all over the world. Get ready for a beautiful and thought-provoking program about your role as a citizen of the world. 7:30 to 9:30 p.m. Saturday, May 5. Crowder Hall, 1017 N. Olive Road. 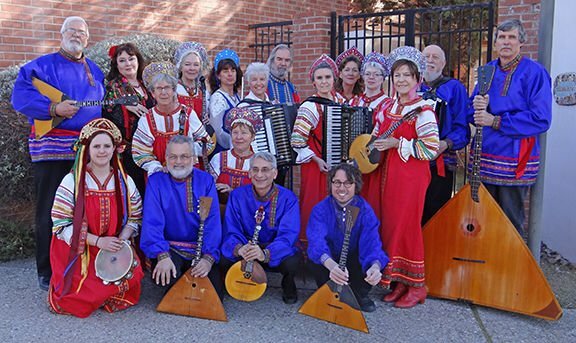 As a part of its “Celebration of Heritage” concert series, the Tucson J is hosting the Arizona Balalaika Orchestra, a part of the University of Arizona Russian Department. The troupe will be playing it Slavic instruments and showcasing their colorful costumes at 2 p.m. on Sunday, March 11. The series continues with “Celebrating the Music of Hungary With Love,” a performance by Southern Arizona’s premiere community concert band, the Arizona Symphonic Winds. Learn about Hungarian music and have fun doing it at 7 p.m. on Wednesday, April 11.